Websites do actually live somewhere…and no, it’s not the Internet. For the most part, websites are watchfully permanently housed on the hard drives of their designers (or team of designers), and they’re a finicky, complicated network of intertwined documents, images and links that have a habit of acting up every once in awhile. Due to glitches like software upgrades, server failures and algorithm changes, images can suddenly disappear. Content can go missing. Entire sites can completely vanish. As such, website designers are consistently backing up and protecting their products, and are always looking out for the best way to do it. Your site is safe with the experts at Calgary’s Emphasize Design. We provide professional Internet marketing services for small businesses looking to succeed in today’s competitive online world. It’s impossible to forget the terrible floods in Calgary and Alberta of June 2013. We saw our rivers overflow with the largest abundance of water ever seen in the history of our province, and many thousands were left without power in their homes and roofs over their heads for a number of weeks. While services and amenities were strained to maximum capacity, websites kept on humming along. In fact, it often seemed as though they were the only things working! The reason for this is that although the main home for a website is most often the designers’ computers, they are also secondarily backed up by their servers. Your website’s content also exists (although in a slightly different form) in its most up-to-date format on its server, and servers are smartly stored in places that events like natural disasters can’t affect them, such as in deep bunkers underground or fire- and flood-proof concrete structures. They can be located virtually anywhere, in fact, which means that many local websites’ servers were happily far removed from the damage this city and province endured. Designers don’t rely only on a server to keep their site intact, however. In the beginnings of the Internet the most popular method for backing up websites (and computers) was to use floppy discs. Then in the early 2000s it was CDs, which were able to store far more information. Both piled up eventually, however, and site owners and administrators often found themselves needing more space because of piles of back-up discs taking up all the room. Memory sticks helped a bit, but they were always getting lost or broken, so it wasn’t until the advent of external hard drives that a truly reasonable solution seemed to have been found. External hard drives can be huge, with lots holding more than 750 gigabytes, and a few holding a complete terabyte, which is a lot more than the average laptop! Websites are actually quite fragile beings that need to be protected from a lot of things. Web designers and administrators also have to worry about spammers posting on their blog pages, content being procured for someone else’s purpose and even hackers taking control. They have to be ready for any and all situations, and even the well-liked external hard drive is fallible. Remember the floods? Or what about a fire? Or even theft? 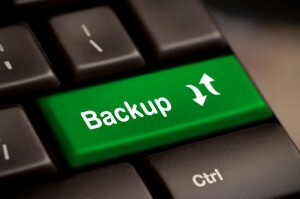 To combat unexpected occurrences like these, web designers are more and more commonly also choosing to backup to a cloud service. Everyone knows that using some kind of cloud storage is great because it doesn’t require the use of any of your computer’s own memory. But did you also think of it as yet another safety net for your documents and data? There are plenty of ways to remind yourself to do this regularly, and some cloud storage providers can even do it for you. Emphasize Design custom-designs and implements effective online marketing packages to build your Internet presence, earn your business traffic and expand your brand and reputation into the digital world. We use our skills to attract, convert and close customers online.